Polyethylene. 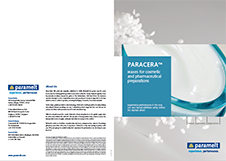 Paracera™ N 101 by Paramelt acts as a consistency factor. It is a narrow molecular weight distribution of primarily linear hydrocarbons with highly efficient material property modifications at low additive levels. It is a nucleation starter offering slip modification, controlled crystallinity and short cycle times. It has excellent oil gelling properties and modifies viscosity of oil components. 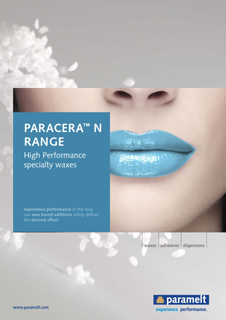 It imparts increased temperature stability and hardness, gloss and structure in stick products. It is used in ointments, decorative cosmetics and other cosmetic care products. 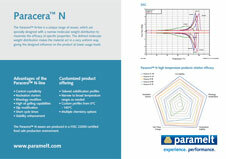 Paracera™ N 101 has a shelf life of at least two years.